Singer , songwriter & theatre performer. Rehearsing with Duncan Lamont and Duncan Lamont Jnr. Preparations for our trip to Scotland in June! Daniela’s gig with her Quartet at London’s famous 606 Jazz Club, with guest guitarist, Guille Hill. 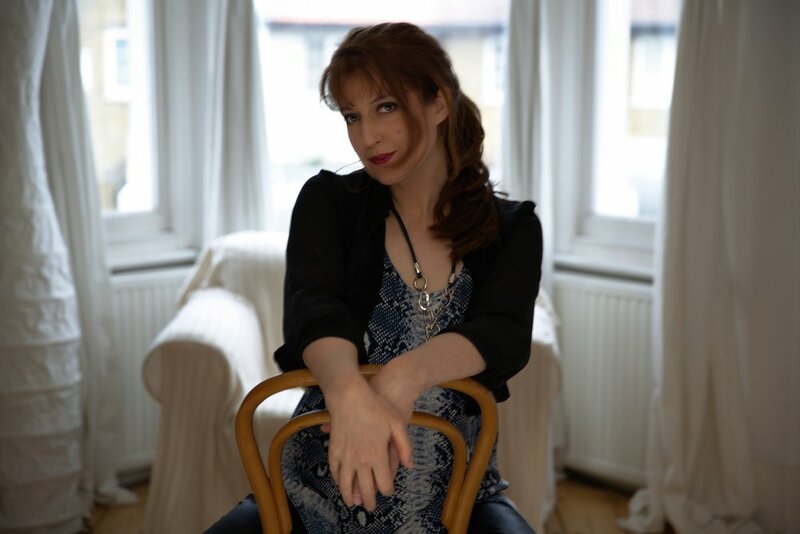 Born out of a collaboration with pianist John Crawford which revealed a shared mutual passion for Eastern European music, Latin American songs and the music of Duncan Lamont and Avishai Cohen; Daniela’s new album Heart Dances is a project featuring Crawford as the constant force with three different rhythm sections plus soloists, in a mix of jazz and Latin styles and original material. 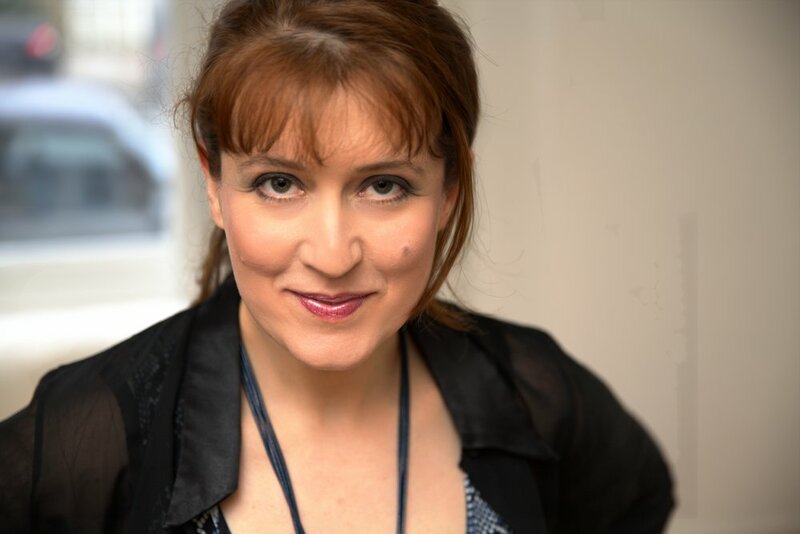 The tracks range from songs by Ivan Lins, Paul McCartney and Sting to 1930s Eastern European songs given new jazz arrangements; and a Clynes original, a collaboration with jazz singer Anita Wardell, to a piece by bassist Avishai Cohen with original lyrics by Daniela. 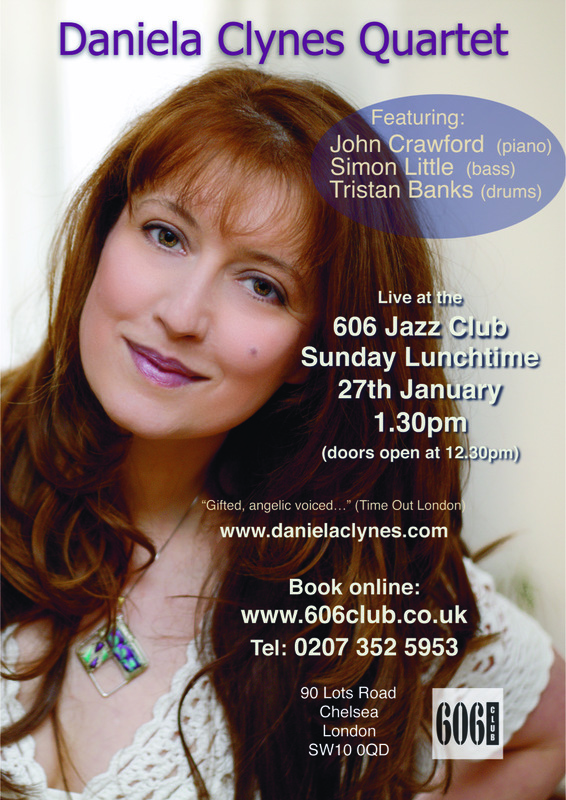 Daniela formed a new band in 2010, which became the core group for the album’s jazz material; featuring the great saxophonist Iain Ballamy, with Tom Mason on double bass and renowned jazz drummer Clark Tracey alongside John Crawford on piano. 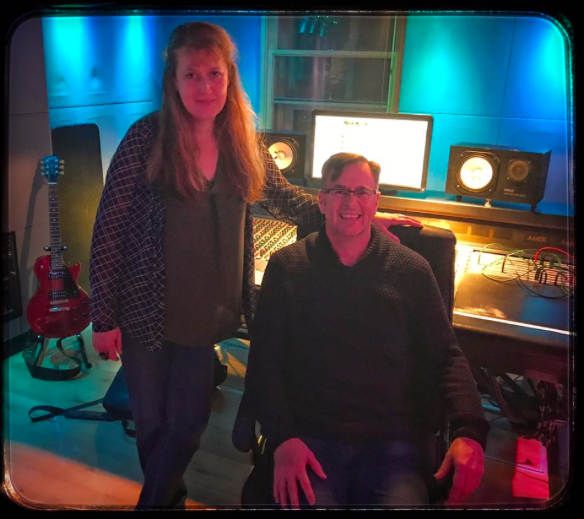 For the songs by Ivan Lins, the updated Yiddish poem ‘Road Tree’ and the salsa-groove of ‘Blackbird’, Daniela brought in a rhythm section made up of some of the finest Latin American musicians based in London, introduced to her by John. 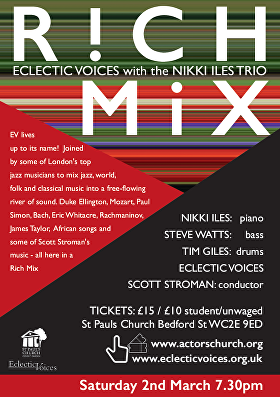 Daniela’s version of Avishai Cohen’s ‘Etude’ became the catalyst for the formation of the third rhythm section with Mauritian bassist Linley Marthe, (who Daniela had wanted to work with since meeting him at Ronnie Scott’s club in 2004, where he was performing with Joe Zawinul), and longtime friend, Ghanaian / British drummer Frankie Tontoh. They also perform on a lyrical version of Sting's 'When We Dance'. The finishing touches were added to some of the Latin tracks by the brass arrangements of great trumpeter Noel Langley, with multi-flautist Gareth Lockrane. "Oyfn Veg Shteyt A Boim"
“Heart Dances” album recording sessions..… photos by Allan Titmuss and Curtis Schwartz. 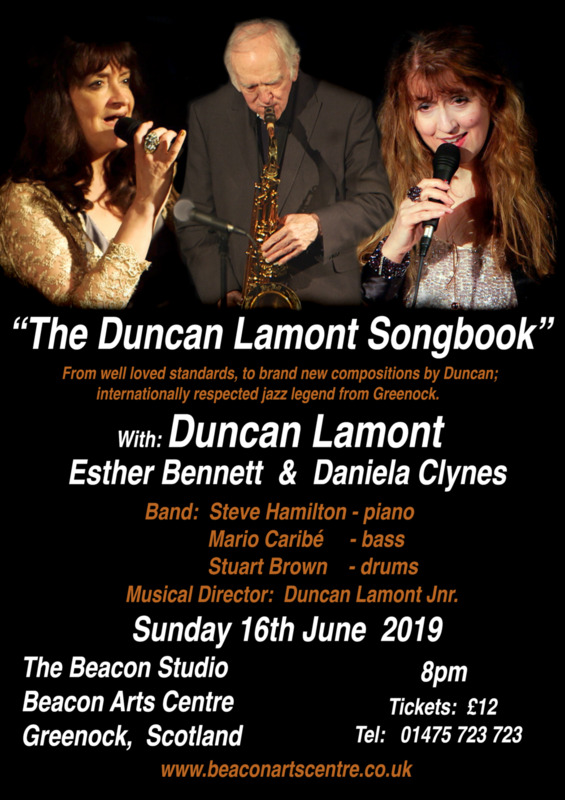 DUNCAN LAMONT SONGBOOK show with Duncan Lamont, Daniela Clynes, Esther Bennett & Duncan Lamont Jnr. London-based singer Daniela Clynes launches her own label with this sometimes soulful, often ecstatic, always highly musical and imaginative collection of songs, recorded in London and New York during 2001. The amount of discs by young British singers that drop through my letterbox grows by the day (luckily I'm moving house in the next few weeks) and sadly the majority of them trot out rote arrangements of the same handful of standards. Even a casual glance at Clynes's set-list suggested that I was in for something more promising - "Kineret"? Not heard of that before. "The Midnight Sun" by Lionel Hampton and Johnny Mercer? Haven't come across that for years. "In The Wee Small Hours" and "Lover Come Back To Me"? Fair enough because it's in the context of such interesting and unusual material, and it's great to see Clynes's generous nod towards the contemporary British jazz scene with tunes by Iain Ballamy and Django Bates, and by Kenny Wheeler. Of course none of the above would matter if she couldn't sing, but Clynes's ability to fuse a resourceful technique with her own distinctive sense of 'this is me' is clear from the opening track. 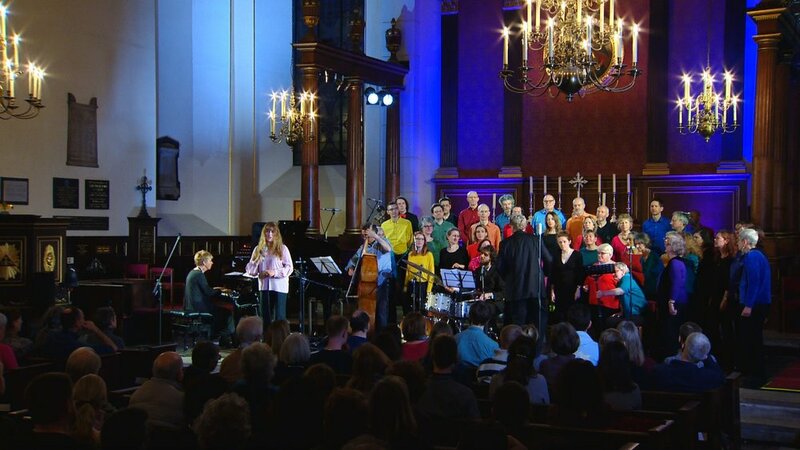 "Kineret" - as it turns out - is an ancient Jewish tune that Clynes has decked out with a sonorous brass arrangement and a driving rhythmic groove that, because of the tune's modal tendencies, sounds surprisingly Coltrane-like. Jonanthan Gee picks up on similar vibes with a solo that evokes McCoy Tyner, and throughout Clynes soars elegantly above the ensemble, intoning the rising contours of the tune with operatic panache. "Gentle Persuasion" is the theme by Bates and Ballamy to which Clynes has added her own lyric, and the track shows a more playful and wry side to her musical persona than the barnstormer opening. Clynes's lyric is a charming piece of nonsense verse, reminiscent of Edward Lear, about a bird and a child who fly off into the sky together. She decorates the original line with deftly handled bird-like trills and puckish decorative turns that get underpinned by skittish figurations and spiky Latin percussion lines from the ensemble. Of the standard material, "Lover Come Back To Me" is especially impressive, with Clynes incorporating adroitly borrowed Mark Murphyisms and a hearty belly-laugh into the flow. "Child Of Man" is intelligent pop, while the moody brass of Clark Gayton's arrangement for "The Midnight Sun" places Clynes in a knowingly cod-1930s setting. However, Clynes leaves her most profound statement to last. "Farewell" is a touching ballad to lost love, and Clynes's mournful yet optimistic lyric is given added piquancy by a strangely contorted chromatic melodic line. I reckon that ballad performances couldn't come much more honest than this, and this valedictory track ends an extraordinarily assured debut with an emotional blast. 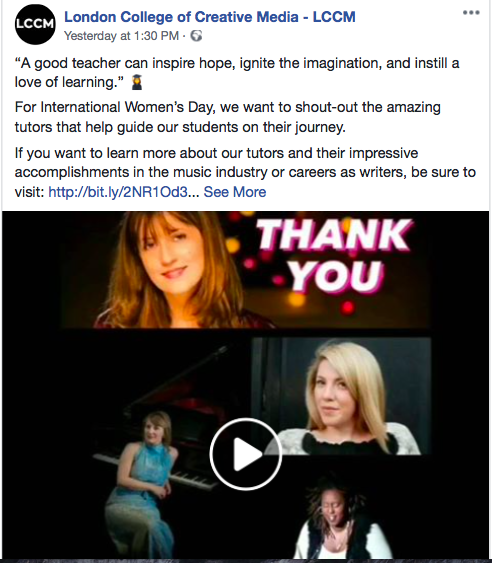 The phenomenon of the enormous explosion of really talented singers (mostly female) in the past few years who operate in the area of jazz, or at least music which is pretty close to it, has been remarked on many times. The competition is enormous, not least for space in the pages of Musician, and this is by way of saying sorry to the following who I have not been able to accomodate with a full-on review when the album first appeared. A really classy production with Jonathan Gee, Sam Burgess and Clark Tracey and some overdubbed brass & percussion recorded in New York. Daniela moves outside the usual repertiore into Hebrew nuanced music as well as Latin tinged tracks and a Stevie Smith poem set to music by Kenny Wheeler. Daniela Clynes had a lot of fun with her CD launch the other night. She invited a whole bunch of guys down who appeared on her excellent album, which meant that we not only had various horn sections, but also some very good backing vocalists popped up as well. It really was fun seeing her “mix and match” the musicians, and of course the grand finale featured everyone, which involved around 10 musicians and singers. Great stuff. 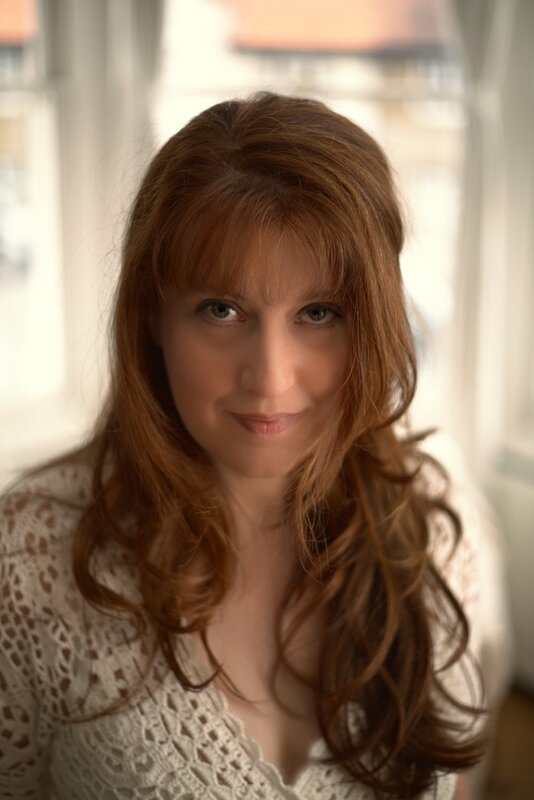 This collection of specially arranged songs for the hugely listenable voice of Daniela Clynes serves as an excellent introduction to her eclectic, yet highly intelligent fusing of Broadway, Jazz and Pop. From the beginning, Clyne's love of words is apparent. Never too theatrical, just when you think she's as English as tea and cakes Clynes trips the light mid - Atlantic. 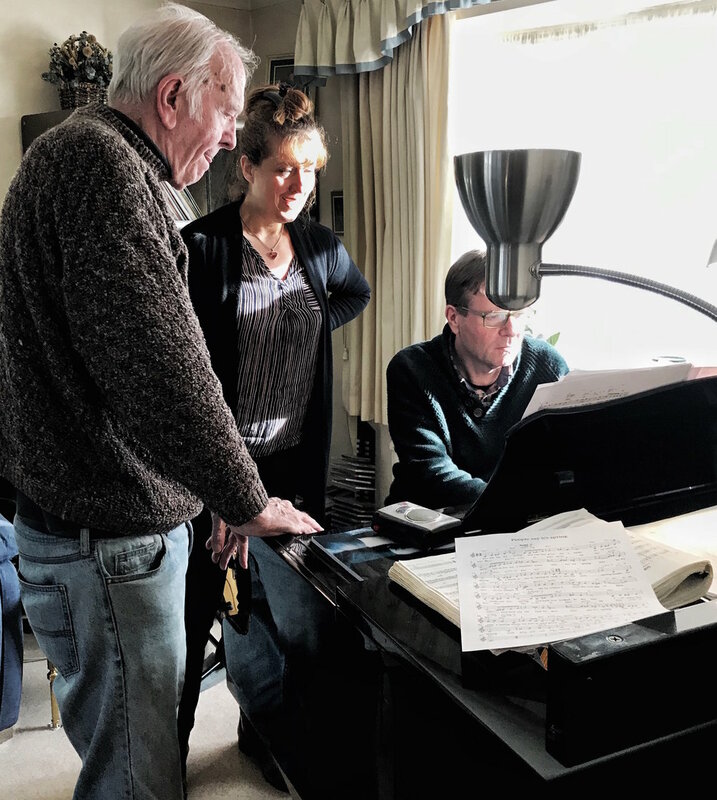 'The Nearness of You' hints at early Streisand and with her beautifully controlled head voice Clynes teases the cadences, improving and holding back the reigns to make way for a stunning re-harmonised workout of the written melody from her accompanist Liam Noble. The duo format continues with 'Child Of Man' a folky playground setting of Noa's lyrics. Refreshingly sans vibrato Clynes reading of these moving sentiments indeed illustrates "a song as beautiful and pure as mothers milk". After a slightly sinister yet-highly inventive rewording of an Abba favourite "When I Kissed The Teacher" here dark and balladic, Arlen and Mercer's 'I Had Myself A True Love' shows the torchy underside to Clyne's programme. Although sung in mezzo terrain here are shades of Barbara Cook, Lena Horne, Judy Garland. Hear her wail on the domestic confessional that is the middle section of this complex song. No shrinking violet, Clynes belts the 'done her wrong', bending and blue noting where appropriate. Daniela Clynes closes this collection with Sondheim's jaded (yet not totally defeated) 'There Won't Be Trumpets'. Just enough drama, then the swing kicks in. A fitting dénoument (Peter Churchill leads this quintet) to a wonderfully inventive bag of goodies. 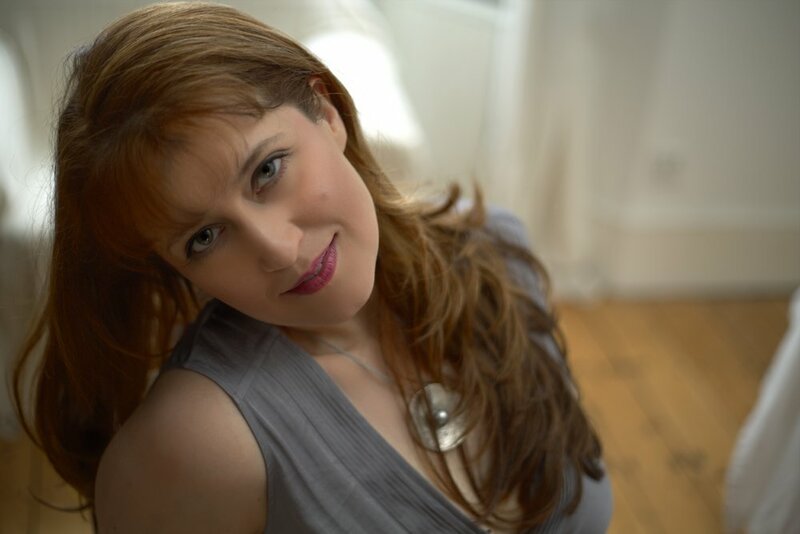 This CD introduction to Daniela Clynes marks her as a singer of clarity and soul, refusing to rally the standards, rather than to flag down the unexpected corners of the popular song, yet retaining a jazz - cabaret sensibility. Daniela’s first studio album, recorded in the UK and in NYC. Recorded over several dates at London’s much missed top jazz cabaret venue. Debut album of Orlando Gough’s vocal group, The Shout, which Daniela was a founding member of.